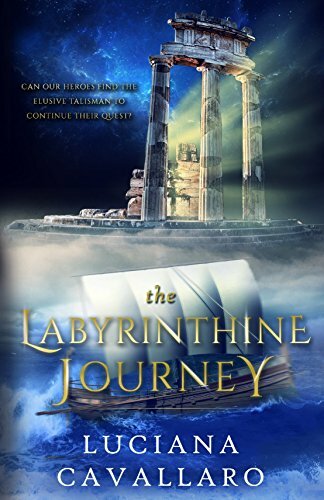 The Labyrinthine Journey follows Evan on his continued quest to locate a sacred object and stop the advent of Christianity? What were some themes you wanted to bring over from book one and what were some new ideas you wanted to explore? I wanted to explore the concept of what if Christianity never happened, and what events may have prevented the birth of Christ. What if the Greek gods were to learn they would be superseded by a single divinity? How would they react and what would they do? Are their powers omnipotent or are they impeded by restrictions and what are they? This is what I wanted to delve into in the trilogy, and offer an alternative. If Christ wasn’t born, then which deity would prevail? The main theme is self-enlightenment, growing and learning from experiences whatever the challenges or situation. As each book is written, it is my hope Evan and his companions continue to grow and become more self-aware and enlightened. Destiny is another theme I wanted to explore and develop further in each book. Was Evan destined to be the hero, go back to his past and prevent the rise and birth of Christ? Or does his destiny and the world’s change once he makes a decision or when he acts? Is he controlled by forces that he cannot see or feel? In essence, I wanted to explore the idea of whether destiny shapes who we are, how we think and what we do. Family was another theme I wanted to include, Evan is very close with his parents and deceased sister, and mentions in book one various familial experiences. In book two, his recollections of his family are still there, however his surrogate family, Dexion and Phameas, and half-brother, Homer, who he discovers at the end of book one, become pivotal in the story. He and Homer are Zeus’ offspring, and the family ties are even stronger with the High Priestess, who is his sister. Darkness and light are another theme, which is hinted at in book one, grows in book two, something that I will explore more in book three. The darkness is within Evan, his transformation evident when he gets angry and his eyes turn black, a characteristic he shares with the High Priestess, though she tends to use her particular abilities when they are in trouble. How did the idea of the gods from Greek mythology fighting monotheism develop into a story for you? It was a twisted path, much like the journey the characters go through in book two, the original concept for the story looked very different to the books I’ve written. It was meant to be about how the Atlanteans re-emerge from the destruction of their home and re-discover the world in which they once inhabited. It didn’t have enough for me to explore or write, so I re-read Homer’s Iliad and The Odyssey. They are my go-to books for inspiration as is Joseph Campbell’s books. Then I had an epiphany, if the gods created such havoc through one war and for one individual who tried to return home, what would they do if they discovered that their existence, their omnipotence, their control over humans was threatened? I didn’t think they’d like it at all! And that is how my idea for the story evolved. I think you did a fantastic job of building great characters in this story. What is your writing process like in developing your characters? Thank you very much for the compliment! I tried very hard to make sure each character had his/her own personality and I wanted each to stand out, even if their role was a minor one. I have in mind what they look like, how they sound, how they walk, the colour of their skin and hair, how tall they are or short. I then write their details out on a proforma, similar to the old index cards, a character biography. I have three separate documents: one for master characters, major and minor. On each of these ‘cards’ I have their names and age; their pertinent biographies including occupation (if they have one); physical features; distinctive language; goals/motivation; fatal flaws and saving grace. These help me keep the characters consistent and ‘flesh out’ who they really are. I got this strategy from reading: The Writer’s little helper by James V. Smith Jr. When I am writing, I visualise the characters, how they interact, what mood they are in, their body language, speech inflections and little quirks they have. For example, Phameas, who likes to keep his hair and beard curled, a Phoenician style and sign of a man’s virtue, is upset when Evan has radical haircuts and shaves. However, the characters don’t always allow me to write how I want the story to go, they interfere, a lot. I guess that’s only fair, as it is their story I am writing. This is book two in the Servant of the Gods series. Where will book three take readers? In Book three, Evan and his companions find a way to leave the Isle of Hephaistos, and sail to Crete. They are a bit concerned, as prior experience has seen them shipwrecked and the Argo badly damaged. They island hop, that is Jason’s preference to ensure they don’t run into the Cyclops again. It is at one of the islands that Evan encounters the Dark Master, and have a conversation. When they arrive on Crete, they discover ancestors of the island who had escaped the deluge. One of the islanders shows them the way into King Minos’ labyrinth, where Evan will face the Minotaur. What happens in between, who knows? Move over, Homer. These aren’t your gods and goddesses anymore. Angelina Kerner puts a whole new spin on the pantheon of Greek and Roman gods in her book Deity’s Soulmate. Our usual suspects are there: Athena, Zeus, Hera, Hermes, Hades and others. 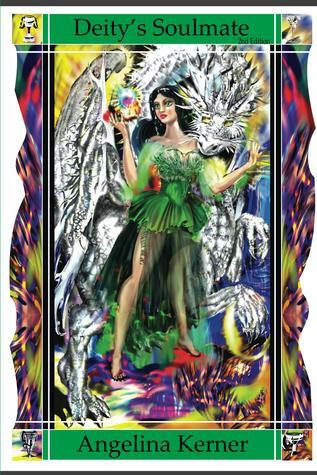 We’re introduced to a new structure of the world thanks to the first person perspective of a young goddess, Gardenia. At first, we’re not sure who she is as she leads us through the universes to the Milky Way Galaxy. She comes across humanity in their bloody splendor immediately. This shatters what she has been taught about humans. Not all is what she has been told. It’s time for Gardenia to learn the real way of the world. 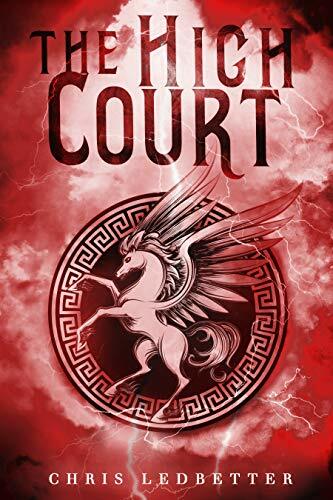 She has a place in her family’s pantheon, but will she be twisted around the thread of a Fate first? 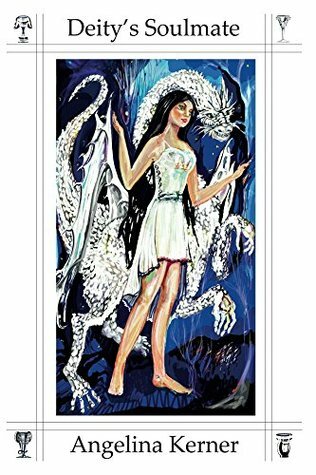 This entertaining story about gods, goddesses, dragons and the creation of worlds is the first installment in what is sure to be an amazing trilogy. While most of us have perceptions about the gods and goddesses from ancient Greece and Rome, seeing Hera in a black suit with white stilettos is definitely an interesting image. Kerner builds her world in a fascinating way. Yes, there have been more ‘modern’ interpretations of such heavenly beings before, but the way Kerner does it makes the reader feel like this is how they have always been. Her description on the creation of galaxies and worlds, giving each god and goddess an entire mini universe to be responsible for is an interesting take on the creation myth. She does not deny the science of a world being born yet the way she peppers that in with the mystical ability of the gods and goddesses seems natural. 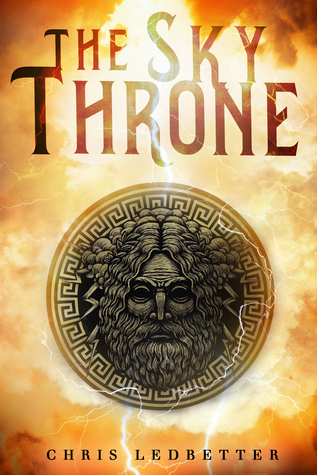 This book is more than just what the gods and goddesses get up to in their spare time. Gardenia is a very new, very young goddess. She is scorned by the majority of her family and she strives to show them she is not someone to be taunted. However in the beginning she is just that: young. Barely alive for eighteen years, which is less than a wink for immortal beings; she is taken advantage of and manipulated by the Fates. Even on the brink of death she does not give in. She is a strong, fiercely independent young lady. She realizes she’s been dealt a bad hand at life and is determined to make more out of it than anyone expects. To this end, she journeys. She travels across galaxies in her search for teachers older than her family: dragons. These mystical beings that hold the power of creation yet can’t be bothered with using it. A coming of age story is wrapped up inside a mystical journey. Not only is Gardenia searching for herself, she is striving to rise above the path that has been laid out for her. The eternal question on whether or not someone can change their ‘fate’ is addressed in this delightful read. Deity’s Soulmate by Angelina Kerner sports beautiful illustrations and a fantastic story to match. Will Gardenia change her future? Or will she be a pawn of the Fates? Only time will tell.